Our large one bedroom suites feature a private bedroom with either 1 King bed or 1 Queen bed, a private bathroom, and a separate living room. The living area has a sleeper sofa and is a great place to gather around the gas fireplace. All suites include a full kitchen and a dining area, and basic cook, glass and kitchen ware are provided. Your may enjoy either a private patio or balcony, and spectacular views of the harbor or the resort grounds and courtyard. The photographs represents just some of the One Bedroom Suites. 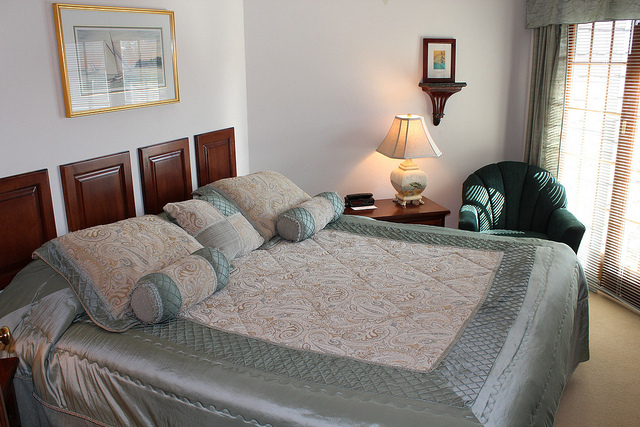 All of our units have unique decor, but conform to Baileys Harbor Yacht Club Resort’s highest standards.